When you want to enhance your home, improving your flooring is a first step to do. 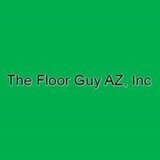 Whether you want a cleaned floor, new flooring installation, waxing, refinishing, or more, the professionals at The Floor Guy AZ, Inc. have the expertise you need. Southwest Hardwood Distributors, LLC, are importers and distributors with 37 years of experience in the flooring industry with knowledge of hardwood, laminate, cork, bamboo, (LVT) Luxury Vinyl Tile, adhesives and underlayments in the industry. Our commitment is to supply quality products and wholesale pricing to our dealers, contractors, builders and designers making it possible for them to offer excellent pricing to their clients. Going Green? As the green movement gains traction, Cork and Bamboo flooring ,as well as other green flooring products, are showing up in many building projects, both residential and commercial. 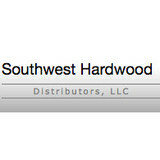 Southwest Hardwood Distributors,LLC offers all of them. Dynamic Floors is more than just a flooring specialty store. We are experts trained in every aspect of the flooring industry, including product, installation, layout, and design, who will help you create the perfect floor for the way you live. Providing outstanding service to our customers for over 25 years, our staff collectively brings decades of experience to the table. And to your floor! Competitively priced, professionally installed, and backed by the most solid warranties in the floor covering industry, Dynamic Floors is your #1 choice for any flooring needs. The owners moved to the Ballet in 1988 and brought with them over 30 years experience in all areas of the floor covering industry. Creative, knowledgeable and passionate about quality have made them a trustworthy authority on floor covering. They moved from Louisiana and are very proud to offer “old fashion service'" along with a lot of "Southern Hospitality." ENMAR Hardwood Flooring delivers the simple idea of keeping customers happy by providing the best customer service and providing the best wood flooring products available. ENMAR is supported by experienced installation and craftsmanship and backed by a exceptional guarantee. Since 1975, ENMAR Hardwood Flooring has been serving Arizona homeowners and businesses with quality products, on-time installation and old-fashioned customer service. Recognized nationally as a leader in design and wood flooring installation, ENMAR gives customers the confidence they need when choosing a company for their wood flooring project. We are excited and eager at Hayden's Flooring America to get to know you and help you with all of your floor covering needs. 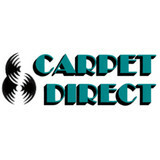 We offer in-home service and are very experienced in the commercial area. We look forward to meeting you at our Surprise, AZ, location. Thank you for your continued business throughout the years. Hayden's Flooring America is more than just a flooring specialty store. We are experts trained in flooring sales and design and will help you find the perfect floor for the way you live. As part of America's leading flooring retail group, our 500-store nationwide buying power guarantees you low prices on thousands of carpet types and other flooring options backed by the most solid warranties in the floor covering industry. We offer you a great selection of flooring including hardwood and laminate flooring. 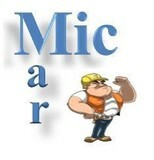 Our locally owned company provides you with competitive rates, warranties, and free estimates. Count on Global Flooring & Design, for all of your flooring needs. Call and ask for David or Eduard for further details about our showroom. For over 25 yrs, SVP has been installing fixtures, cabinetry, free-standing elements, points of purchase stands and everything else you will see in a retail environment. We specialize in multiple store rollouts, but can install a full retail interior in your flagship location. SVP can install a single table in multiple stores, or an entire shop with detailed millwork, fittings and moldings. Our crews are all local to the markets they work in; they are professional, clean and courteous. We offer the best flooring services in Phoenix, Arizona! Details are what makes for a beautiful finish! I pay extra attention to the little details. I can prepare your floor for install (even uneven ones! ), install lots of square footage, repair, and make amazing designs. The flooring you’ve always wanted is now possible! 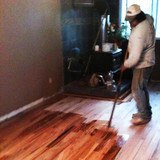 GetGreatFlooring.Com is a small, local, family owned business that was created to save people money. Jim, who started GetGreatFlooring.Com, had previously worked for larger flooring companies. Many times he would sell flooring to his customers at overly inflated prices of which these companies demanded. Realizing that he could save his customers hundreds of dollars, he decided to go out on his own and work with suppliers who could help him bring costs down for his customers so that he could pass along the savings to other hardworking people like himself. GARAGE FLOORING At the end of a long day wouldn’t you like to drive your car onto a garage floor of beauty that will last for years? Well you can. Superior Flooring of Chandler will coat your garage floor in one day with an easy to clean and maintain floor of polyureal/polyaspartic industrial strength coating. You will love the lasting beauty and durability. PATIO FLOORING Would you like to make that backyard patio, porch, walkway or pool deck new again? Well you can. Don’t replace it, coat it. Let Superior Flooring of Chandler coat your outside surfaces and restore those old, cracked, dirty surfaces to a thing of beauty. Let them help you pick the best and most durable designs. They are perfectionists in aesthetics and will make a significant difference to your backyard. COMMERCIAL FLOORING Would you like your commercial facility to stand out and feel welcoming to your customers? Would you like it to look clean and shinny? Well it can. Let Superior Flooring of Chandler do your commercial and industrial interior and exterior floor coatings. They are familiar with the best processes and latest practices in the industry. Anyone can have a floor but not everyone can have a showroom. Have your showroom today. Free estimates available. We are your #1 flooring company for carpet, hardwood, laminate, and tile flooring in Chandler, Goodyear, and Sun Lakes, AZ. People choose us for our great customer service and affordable prices, which is why we're the best flooring company. Phoenix, AZ residents, not only do we sell flooring, we care about our customers and helping them find the best flooring to meet their needs and budget. Learn about our Chandler remodeling services today.